I am a suspended member. Without charge. Without evidence. I have considered (in my darkest days when I had just lost my Dad) hurting myself. Sam Matthews and MacNicol, along with their regional office friends need to publicly answer for the crimes they have committed. I wonder if Labour Compliance are currently trawling Carl Sargeants social media after the event trying to find something on him. I know of numerous suspended members who had their twitter and facebook accounts trawled by compliance AFTER they were suspended; I saw evidence of it with my own eyes because it happened to me! This flawed and now as it turns out fatal, “process” used for disciplinary matters needs a complete overhaul it is not and never was fit for purpose and as the largest socialist party in Europe in terms of number of members we should DEMAND that the process is wholly reformed. As someone who has been investigated in a public organisation, accused without evidence other than one person against another, where the other person was believed but I was not disciplined, my experience taught me that: both parties must be supported from the time of accusation to the time of resolution, I had no support,the other person did, they were believed I was not. Secondly, the investigation went on for six months, timeliness is every thing, it is torture to go through on either side, the torture in having the courage to speak up, the fear of not being believed. the torture of not being believed and not being able to do anything about it toward resolution. Thirdly, is the accusation clear and timely. we must all be encouraged to speak up “now” if something is wrong. Lastly, if a timely, clear allegation is investigated with support on both sides, if there is not enough evidence then any organisation must be clear about what that means and the investigators must be independent and have the courage to make decisions based on evidence. My case, an allegation made, so called character witnesses, written statements based on reaction not evidence, medication for anxiety and depression, still on medication today. This happened in 2013. Time to wake up labour party. After thirty odd years of supporting, counselling and advising vulnerable children and adults, the compliance team and the north west region secretary (and her cronies) accused me of being an abuser – because I mistakenly retweeted a couple of tweets that contained the hashtags ‘Blairite’, ‘Red Tory’ and ‘Blairshite’. I hadn’t even noticed the hashtags when I retweeted. My only crime was to admit to supporting Jeremy Corbyn. I have been told that I can reapply to join Labour whenever I want. I’ll apply again when McNicol leaves. if you have suffered or are still suffering from the impact of suspension and investigation please know that there are people who do not judge, who are willing to listen and will not disclose your private information and details to anyone. There are thousands who have been subjected to this trauma. There are thousands more who will not and do not judge you. Not everyone is in a place or at a time in their lives when they can speak out publicly. You don’t have to. But just know that you are not alone, there are those who care, that understand. Hold on change will happen. I am a suspended member and have been since early May 2016 when I was informed not by the Labour party but by a journalist from the Jewish Chronicle. In spite of what he told me, I have never been charged and have not received any communication from the Labour party since August last year. I also have good reason to believe that my MP Stella Creasy was involved in getting me suspended for purely political reasons. Having struggled with unproven accusations of being abusive on social media without any evidence being offered, as previously reported on this site, I ended up resigning from the Party. I was still reeling from the emotional impact of a double bereavement and I simply could not accept the lack of due process or natural justice within the disciplinary processes being imposed by Labour. My request to be told the precise nature of my “offence” and to be shown evidence of it were ignored. When my suspension was lifted I was told that I would have an indefinite warning placed on my file. This was not something I could accept. Hence my resignation. I guess I was lucky. I am not in the public eye and the false allegations levelled against me were nowhere near as toxic as those that Carl Sargeant faced. Neither was I publicly sacked from my job so without doubt my personal circumstances were nowhere near as awful as they were for him. But the whole thing still caused me immense distress and it was my family’s observations as to how all this was impacting on me and their urging that led me to the conclusion that I had to leave. Otherwise I would have made myself ill. Arguably my mental health was already suffering and trying to fight when I was told I had no right of appeal would have made it worse. Of the many things that hurt at the time, was despite my correspondence with Iain McNicol making reference to the recent deaths of both my parents within a short timescale, at no point was this acknowledged. It would have been easy to have added a line expressing sympathy even if that sympathy was not actually sincere. For me, this lack of common courtesy towards someone immersed in grief exposed a callous heartlessness at the headquarters of the political party that I always thought cared about people. I would have expected such disregard for the welfare of fellow humans from the Tories, but from Labour? Of course individual Party members were and continue to be very supportive of me. I have friends from across the Party’s spectrum including those who voted for Owen Smith at the 2016 Leadership election and who were appalled at how I had been treated. They continue to ask about my health and wellbeing and occasionally ask if I would consider rejoining. I am not yet ready and I don’t think the Party has changed enough for me to consider that. None of us can know what was going through Carl Sargeant’s mind when he decided to end his life, but far too many of us have been denied due process and natural justice and as a consequence have suffered emotionally. I have absolutely no doubt that this is a tragedy that could have been avoided. Carl Sargeant’s family need and deserve answers. McNicol and co have presided over a corrosive culture and it is essential that the circumstances surrounding the proceedings used against Carl Sargeant are properly, independently and transparently investigated. But the enquiry should not stop there. It should go back to the politically-motivated purges that preceded both the 2015 and 2016 leadership elections and those caught up in them should be invited to give evidence. The Party can only heal if the mistakes of the past are acknowledged and if the Party learns from them. From my perspective, that should also involve removing from office those who have presided over this disastrous period and which I firmly believe cost us the General Election. But that is for another day. 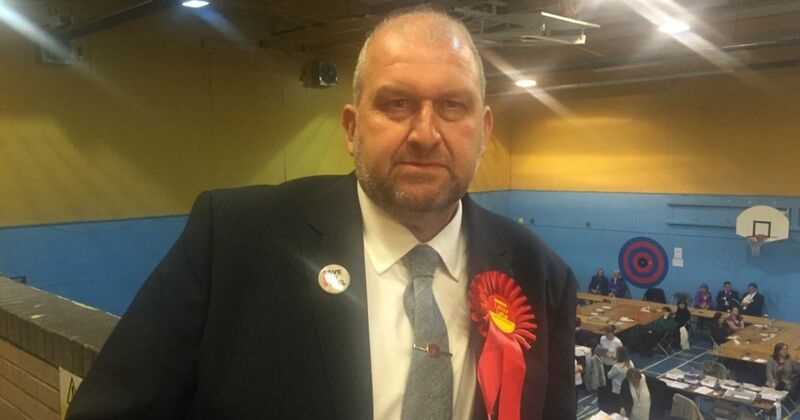 For now, my thoughts and prayers (I am a member of Christians on the Left) are with Carl Sargeant’s family as they mourn the loss of their loved one. I was suspended last year for “Comments you have made, including at a leadership hustings” … Comments. This would suggest that they had a load of evidence against me surely? That letter was received on the 5th Sept a month after the hustings and they didn’t give me the evidence until 28th October, which comprised of a single comment, the word “Why”. I had been accused of anti-semitism based on this one word. Despite them knowing from the outset that the evidence given was incorrect as the video of the hustings proves, and the word ‘Why’ taken completely out of context, the compliance team chose to keep me suspended for four months. I’d also like to add that the evidence was in the form of an extremely informal email, as though between friends, which just added to the insult as I clearly didn’t stand a chance. Like many others, my suspension was unfair and shouldn’t have happened in the first place. In the end, they’d changed my accusation to “heckling at a hustings”, which surely means about 200 people could have been suspended that night, but also shows that their attempt to find further evidence against me, was fruitless. During the suspension I sent many emails requesting evidence, information on the process as well as informing them in no uncertain terms the terrible effect the suspension was having on my mental health. I told them about the PTSD I suffered when I was attacked by a stranger many years ago and how their treatment of me was bringing about recurring thoughts of that very painful time of my life. Many will know that the misplaced feelings of shame and guilt after an assault are incredibly hard to overcome, it took me years to stop blaming myself for what happened. So, I found it quite astonishing that people employed by a political party that fights so strongly for mental health and sexual abuse issues would be so cold and simply carry on regardless in their treatment of me. Assuming guilt, withholding information on the process, taking weeks to respond to emails and generally treating me with a complete lack of respect. They did not even acknowledge that I had told them about my mental state! The feelings of hopelessness were frequent, I cried a lot, I was very angry and naturally worried and anxious about the investigation interview and the outcome. I felt that my reputation had been deeply tarnished by the slur of anti-semitism as my CLP had shunned my requests to help with campaigning, which added to the hurt and assumption of guilt. The lack of support from some comrades in the party was damaging. It was a truly awful time and it makes me so angry to know that many people are still going through it and how the compliance department’s actions will undoubtedly have contributed to Carl Sergeant’s depression.